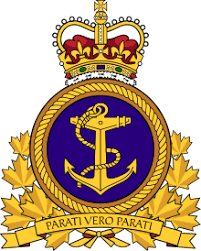 The Royal Canadian Navy (RCN) is Canada’s naval force consisting of approximately 8,300 Regular Force and 3,600 Reserve sailors, supported by around 3,800 civilian employees. 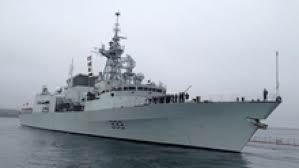 The mission of the Royal Canadian Navy is to generate combat-capable, multipurpose maritime forces that support Canada’s efforts to participate in security operations anywhere in the world, as part of an integrated Canadian Armed Forces. 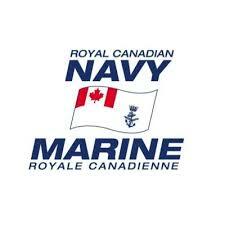 The designation Her Majesty's Canadian Ship (HMCS) (in French Navire canadien de Sa Majesté [NCSM]), is applied as a prefix to surface ships in the Royal Canadian Navy and Canadian Joint Operations Command. 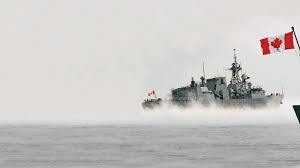 The similar designation of Her Majesty's Canadian Submarine is applied to submarine vessels. The 12 Canadian-built Halifax-class multi-role patrol frigates are considered the backbone of the Royal Canadian Navy (RCN). The ships were originally designed for anti-submarine warfare and anti-surface warfare, primarily in the open ocean environment. The role of the Halifax-class has changed. Current and evolving maritime threats are faster, stealthier, more maneuverable, and shifting from the open ocean to the littoral (near-shore) environment. The littoral environment poses challenges to sensors and weapons systems due to higher traffic density and proximity to shore-based threats. In addition, ships now face asymmetrical threats, such as attacks from smaller, more maneuverable vessels that were not envisaged at the time of the ships’ design. Innovations in procedures and tactics have enabled the frigates to operate effectively in the new threat environment, despite equipment limitations. However sensor and weapons enhancements are needed in order to enhance the ships’ ability to deal with these new threats into the future. 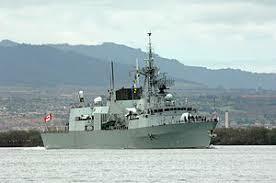 The Halifax-class ship’s homeports are Esquimalt, British Columbia, and Halifax, Nova Scotia.